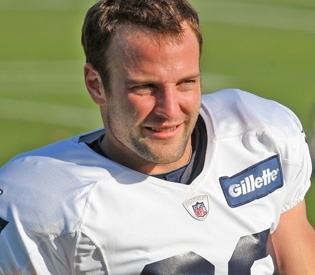 Patriots owner Robert Kraft hasn’t backed off his stance that he’d like to reach a contract agreement with receiver Wes Welker, going as far as to say he wants Welker to be a “Patriot for life” according to Jeff Howe of the Boston Herald. Kraft spoke with NFL Network on Tuesday at the league meetings in Atlanta, and his comments were similar to everything he’s been saying since the tail end of the 2011 season. Basically, Kraft wants a deal, and the two sides need to make some compromises to come to terms on one. Kraft was also asked about the way this thing has unfolded in the public eye over the last few weeks.